This RAB Lighting MCAP3B Mighty Post Cap is made of die cast aluminum for resistance to corrosion, has an internal seal for protection from weather, and is suitable for use with 2-7/8" light posts to hold heavy floodlights securely. It has a set screw that locks the cap to the post (not included) and a 1/2" threaded hole that accommodates most floodlights and lawn lights. It is Underwriters Laboratories (UL) listed as suitable for use in wet locations when used with fixtures that have a ground wire. 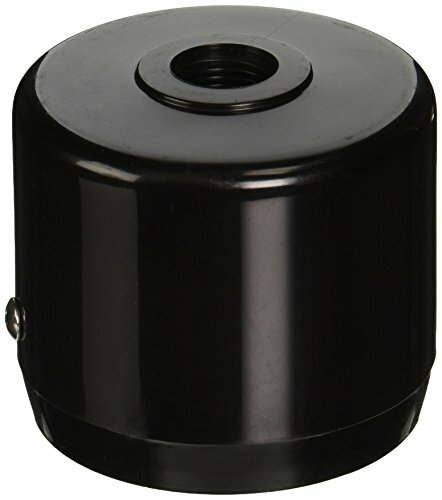 This black post cap is suitable for a wide range of outdoor lighting applications.